60 Hz (cycles per second) to ensure that all electrical clock time was accurate. governors and boiler steam generation. provides real time, and a synchronous motor clock that relies on the system frequency. 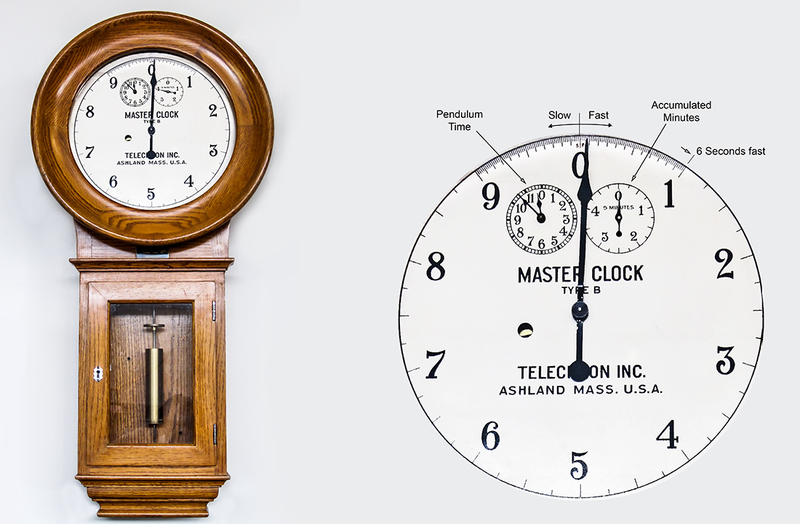 If the rate of the Motor and Pendulum clocks are the same, the hand stays at rest. When the dials are at zero, the frequency and time are correct - no action required. bring the big hand to zero (correct time). Hz, until the clocks are in sync and the dials read zero.